The CLA series utilizes a proven silicon technology resulting in higher resistivity, and tightly controlled base width PIN limiter diodes. Any limiter circuit that uses these devices is able to perform with stronger limiting action and low loss. The CLA4601, CLA4602, CLA4604, and CLA4605 series are designed with mesa-construction, thin base width, and low capacitance for low-level and cleanup applications. 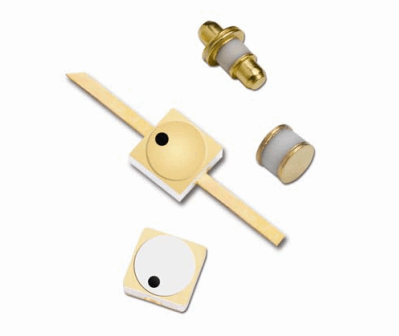 The CLA4603, CLA4606, CLA4607, CLA4608, and CLA4610 series are planar designs designated for high-power and mid-range applications. The CLA4609 series thick base width mesa diode is designed for coarse limiter-stage applications. For more information on the CLA series of silicon limiter diodes, download the datasheet.